This one tool is developed by GSMDeveloper Team, with Oppo Model Finder no need worry to download firmware or Rom OTA for your Oppo device. 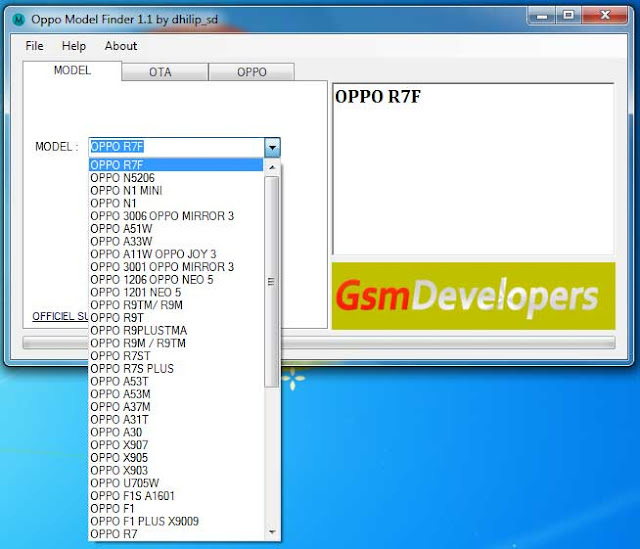 below is the Oppo Firmware Model Finder screenshot along with the download link. Hopefully this small tool is useful for all of us.